The country is one of the few in Africa never to have had a coup d'état, and regular elections have been held for almost a century. But the vast majority of black South Africans were not enfranchised until 1994. During the 20th century, the black majority sought to recover its rights from the dominant white minority, with this struggle playing a large role in the country's recent history and politics. 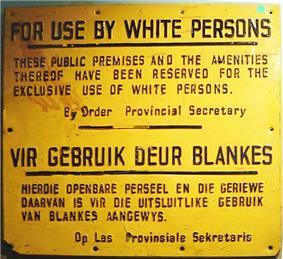 The National Party imposed apartheid in 1948, institutionalizing previous racial segregation. After a long and sometimes violent struggle by the African National Congress and other anti-apartheid activists both inside and outside the country, discriminatory laws began to be repealed or abolished from 1990 onwards. 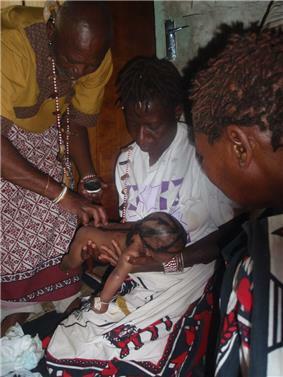 About 80 percent of South Africans are of sub-Saharan African ancestry, divided among a variety of ethnic groups speaking different Bantu languages, nine of which have official status. The remaining population consists of Africa's largest communities of European (white), Asian (Indian), and multiracial (coloured) ancestry. Since 1994, all ethnic and linguistic groups have had political representation in the country's constitutional democracy, which comprises a parliamentary republic and nine provinces. South Africa is often referred to as the "Rainbow Nation" to describe the country's newly developing multicultural diversity in the wake of segregationist apartheid ideology. 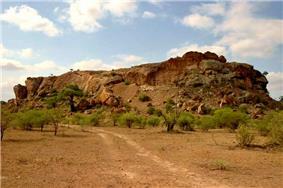 South Africa contains some of the oldest archaeological and human fossil sites in the world. Extensive fossil remains have been recovered from a series of caves in Gauteng Province. 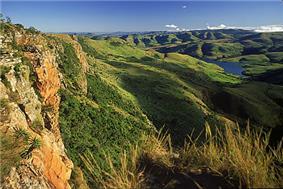 The area is a UNESCO World Heritage site and has been termed the Cradle of Humankind. The sites include Sterkfontein, which is one of the richest hominin fossil sites in the world. 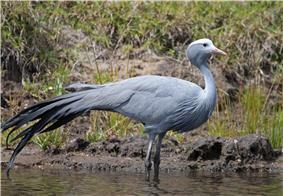 Other sites include Swartkrans, Gondolin Cave Kromdraai, Coopers Cave and Malapa. The first hominin fossil discovered in Africa, the Taung Child was found near Taung in 1924. Further hominin remains have been recovered from the sites of Makapansgat in Limpopo, Cornelia and Florisbad in the Free State, Border Cave in KwaZulu-Natal, Klasies River Mouth in eastern Cape and Pinnacle Point, Elandsfontein and Die Kelders Cave in Western Cape. These sites suggest that various hominid species existed in South Africa from about three million years ago starting with Australopithecus africanus. These were succeeded by various species, including Australopithecus sediba, Homo ergaster, Homo erectus, Homo rhodesiensis, Homo helmei and modern humans, Homo sapiens. 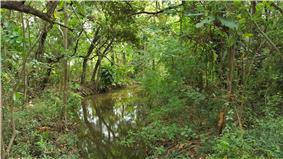 Modern humans have inhabited Southern Africa for at least 170,000 years. Great Britain took over the Cape of Good Hope area in 1795, to prevent it from falling under control of the French First Republic, which had invaded the Dutch Republic. Given its standing interests in Australia and India, Great Britain wanted to use Cape Town as an interim port for its merchants' long voyages. The British returned Cape Town to the Dutch Batavian Republic in 1803, the Dutch East India Company having effectively gone bankrupt by 1795. The British annexed the Cape Colony in 1806, and continued the frontier wars against the Xhosa; the British pushed the eastern frontier through a line of forts established along the Fish River and they consolidated the territory by encouraging British settlement. During the 1820s both the Boers (original Dutch, Flemish, German, and French settlers) and the British 1820 Settlers claimed land in the north and east of the country. 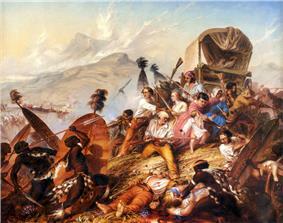 Conflicts arose among the Xhosa, Zulu, Sotho and Boer groups who competed to expand their territories. The discovery of diamonds in 1867 and gold in 1884 in the interior started the Mineral Revolution and increased economic growth and immigration. 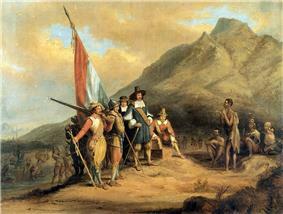 This intensified the European-South African efforts to gain control over the indigenous peoples. 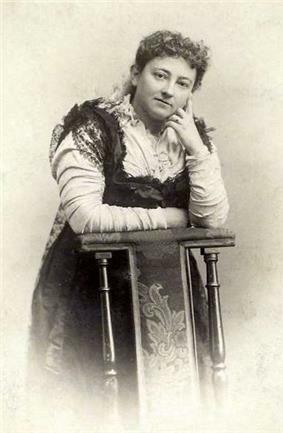 The struggle to control these important economic resources was a factor in relations between Europeans and the indigenous population and also between the Boers and the British. In 1931 the union was fully sovereign from the United Kingdom with the passage of the Statute of Westminster, which abolishes the last powers of the British Government on the country. 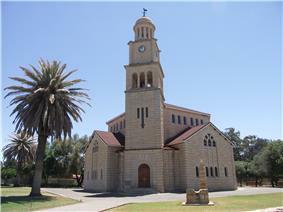 In 1934, the South African Party and National Party merged to form the United Party, seeking reconciliation between Afrikaners and English-speaking "Whites". In 1939 the party split over the entry of the Union into World War II as an ally of the United Kingdom, a move which the National Party followers strongly opposed. On 31 May 1961, the country became a republic following a referendum in which white voters narrowly voted in favour thereof (the British-dominated Natal province rallied against the issue). Queen Elizabeth II was stripped of the title Queen of South Africa, and the last Governor-General, namely Charles Robberts Swart, became State President. 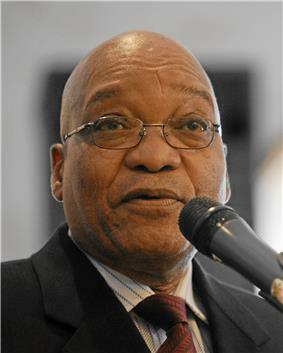 As a concession to the Westminster system, the presidency remained parliamentary appointed and virtually powerless until P. W. Botha's Constitution Act of 1983, which (intact in these regards) eliminated the office of Prime Minister and instated a near-unique "strong presidency" responsible to parliament. Pressured by other Commonwealth of Nations countries, South Africa left the organisation in 1961 and was readmitted only in 1994. 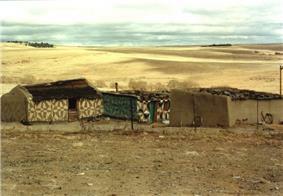 Despite opposition both within and outside the country, the government legislated for a continuation of apartheid. The security forces harshly oppressed resistance movements, and violence became widespread, with anti-apartheid activists using strikes, marches, protests, and sabotage by bombing and other means. The African National Congress (ANC) was a major resistance movement. Apartheid became increasingly controversial, and some Western nations and institutions began to boycott business with South Africa because of its racial policies and suppression of civil rights. 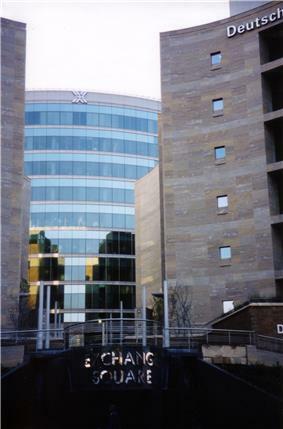 International sanctions, divestment of holdings by investors accompanied growing unrest and oppression within South Africa. In 1990 the National Party government took the first step towards dismantling discrimination when it lifted the ban on the African National Congress and other political organisations. 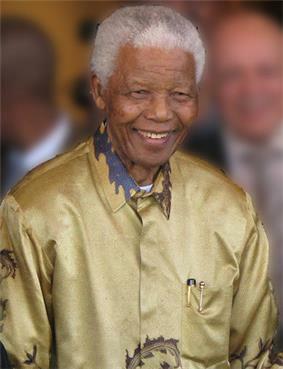 It released Nelson Mandela from prison after twenty-seven years' serving a sentence for sabotage. A negotiation process followed. With approval from an predominantly white referendum, the government repealed apartheid legislation. South Africa also destroyed its nuclear arsenal and acceded to the Nuclear Non-Proliferation Treaty. 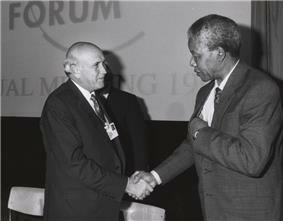 South Africa held its first universal elections in 1994, which the ANC won by an overwhelming majority. It has been in power ever since. The country rejoined the Commonwealth of Nations. 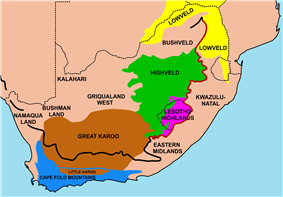 Important geographical regions in South Africa. The thick line traces the course of the Great Escarpment which edges the central plateau. The eastern portion of this line, coloured red, is known as the Drakensberg. The Escarpment rises to its highest point, at over 3000 m, where the Drakensberg forms the border between KwaZulu-Natal and Lesotho. None of the regions indicated on the map has a sharp well-defined border, except where the Escarpment, or a range of mountains forms a clear dividing line between two regions. Some of the better known regions are coloured in; the others are simply indicated by their names, as they would in an atlas. The coastal belt below the south and south-western stretches of the Great Escarpment contains several ranges of Garden Route. 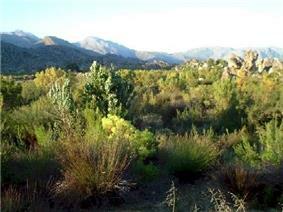 It is famous for the most extensive areas of indigenous forests in South Africa (a generally forest-poor country). The coastal belt to the north of the Cape Peninsula is bounded on the west by the Atlantic Ocean and the first row of north-south running Cape Fold Mountains to the east. 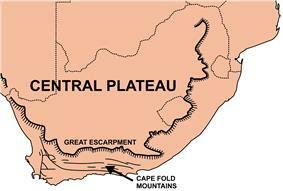 The Cape Fold Mountains peter out at about the 32° S line of latitude, after which the coastal plain is bounded by the Great Escarpment itself. The most southerly portion of this coastal belt is known as the Swartland and Malmesbury Plain, which is an important wheat growing region, relying on winter rains. 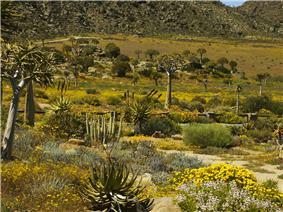 The region further north is known as Namaqualand, which becomes more and more arid as one approaches the Orange River. 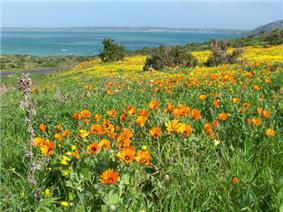 The little rain that falls, tends to fall in winter, which results in one of the world’s most spectacular displays of flowers carpeting huge stretches of veld in spring (August – September). 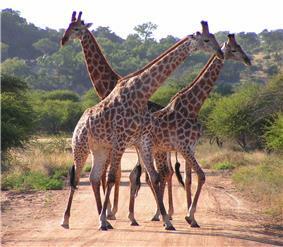 Numerous mammals are found in the bushveld including lions, leopards, cheetahs, white rhinos, blue wildebeest, kudus, impalas, hyenas, hippopotami and giraffes. 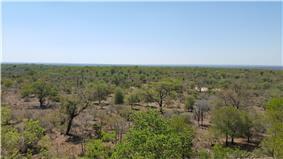 A significant extent of the bushveld exists in the north-east including Kruger National Park and the Mala Mala Reserve, as well as in the far north in the Waterberg Biosphere. South Africa houses many endemic species, among them the critically endangered riverine rabbit (Bunolagus monticullaris) in the Karoo. In the most recent election, held on 7 May 2014, the African National Congress (ANC) won 62.2% of the vote and 249 seats, while the main opposition, the Democratic Alliance (DA) won 22.2% of the vote and 89 seats. The Economic Freedom Fighters, founded by Julius Malema, the former President of the ANC's Youth Wing who was later expelled from the ANC, won 6.4% of the vote and 25 seats. The ANC has been the governing political party in South Africa since the end of apartheid. South Africa has no legally defined capital city. The fourth chapter of the Constitution of South Africa, states that "The seat of Parliament is Cape Town, but an Act of Parliament enacted in accordance with section 76(1) and (5) may determine that the seat of Parliament is elsewhere." The country's three branches of government are split over different cities. 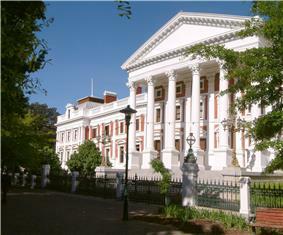 Cape Town, as the seat of Parliament, is the legislative capital; Pretoria, as the seat of the President and Cabinet, is the administrative capital; and Bloemfontein, as the seat of the Supreme Court of Appeal, is the judicial capital, while the Constitutional Court of South Africa sits in Johannesburg. 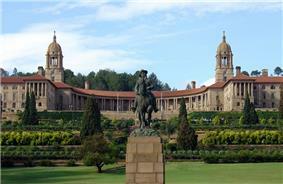 Most foreign embassies are located in Pretoria. 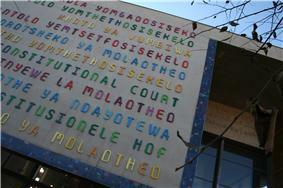 ^ The Khoi, Nama and San languages languages, South African Sign Language, German, Greek, Gujarati, Hindi, Portuguese, Telugu, Tamil, Urdu, Arabic, Hebrew, Sanskrit and "other languages used for religious purposes in South Africa" have a special status (Chapter 1, Article 6 of the South African Constitution). According to the 2013 UNAIDS Report, South Africa has an estimated 6.3 million people living with HIV – more than any other country in the world. A 2008 study revealed that HIV/AIDS infection in South Africa is distinctly divided along racial lines: 13.6% of blacks are HIV-positive, whereas only 0.3% of whites have the disease. Most deaths are experienced by economically active individuals, resulting in many AIDS orphans who in many cases depend on the state for care and financial support. 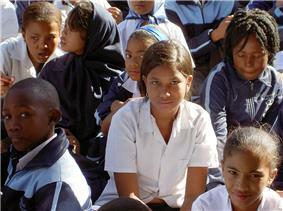 It is estimated that there are 1,200,000 orphans in South Africa. South Africa has also produced numerous world class rugby players, including Francois Pienaar, Joost van der Westhuizen, Danie Craven, Frik du Preez, Naas Botha and Bryan Habana. 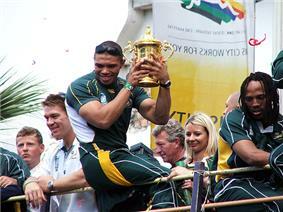 South Africa hosted and won the 1995 Rugby World Cup and won the 2007 Rugby World Cup in France. It followed the 1995 Rugby World Cup by hosting the 1996 African Cup of Nations, with the national team going on to win the tournament. It also hosted the 2003 Cricket World Cup, the 2007 World Twenty20 Championship. There is great diversity in South African music. Black musicians have developed a unique style called Kwaito. Kwaito is said to have taken over radio, television, and magazines. Of note is Brenda Fassie, who launched to fame with her song "Weekend Special", which was sung in English. More famous traditional musicians include Ladysmith Black Mambazo, while the Soweto String Quartet performs classic music with an African flavour. South Africa has produced world-famous jazz musicians, notably Hugh Masekela, Jonas Gwangwa, Abdullah Ibrahim, Miriam Makeba, Jonathan Butler, Chris McGregor, and Sathima Bea Benjamin. Afrikaans music covers multiple genres, such as the contemporary Steve Hofmeyr and the punk rock band Fokofpolisiekar. The youth and adults of all races in South Africa. This happened on 2 July 1977 at a conference known as Quo Vadis. Many white South Africans also speak European languages, including Portuguese (also spoken by black Angolans and Mozambicans), German, and Greek, while some Asians in South Africa speak Asian languages, such as Tamil, Hindi, Gujarati, Urdu, and Telugu. French is spoken in South Africa by migrants from Francophone Africa. According to the 2001 census, Christians accounted for 79.8% of the population, with the majority of them being members of various Protestant denominations, including syncretic African initiated churches. Christian category includes Zion Christian (11.1%), Pentecostal (Charismatic) (8.2%), Roman Catholic (7.1%), Methodist (6.8%), Dutch Reformed (Nederduits Gereformeerde Kerk; 6.7%), Anglican (3.8%). Members of remaining Christian churches accounted for another 36% of the population. Muslims accounted for 1.5% of the population, Hindus 1.2%, traditional African religion 0.3% and Judaism 0.2%. 15.1% had no religious affiliation, 0.6% were other and 1.4% were unspecified. 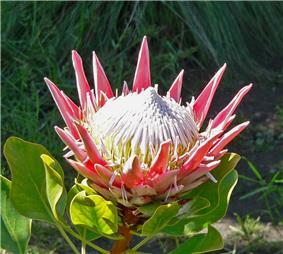 South Africa is a nation of about 52 million people of diverse origins, cultures, languages, and religions. The last census was held in 2011. South Africa is home to an estimated 5 million illegal immigrants, including some 3 million Zimbabweans. A series of anti-immigrant riots occurred in South Africa beginning on 11 May 2008. 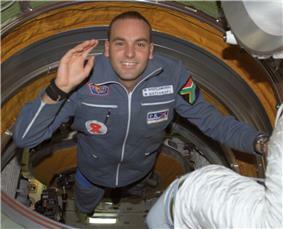 South Africa has cultivated a burgeoning astronomy community. It hosts the Southern African Large Telescope, the largest optical telescope in the Southern Hemisphere. South Africa is currently building the Karoo Array Telescope as a pathfinder for the €1.5 billion Square Kilometer Array project. On 25 May 2012 it was announced that hosting of the Square Kilometer Array Telescope will be split over both the South African and the Australia/New Zealand sites. Along with many African nations, South Africa has been experiencing a "brain drain" in the past 20 years. This is believed to be potentially damaging for the regional economy, and is almost certainly detrimental for the well-being of those reliant on the healthcare infrastructure. The skills drain in South Africa tends to demonstrate racial contours given the skills distribution legacy of South Africa and has thus resulted in large white South African communities abroad. However, the statistics which purport to show a brain drain are disputed and also do not account for repatriation and expiry of foreign work contracts. According to several surveys there has been a reverse in brain drain following the global financial crisis of 2008-2009 and expiration of foreign work contracts. In the first quarter of 2011, confidence levels for graduate professionals were recorded at a level of 84% in a PPS survey. After 1994 government policy brought down inflation, stabilised public finances, and some foreign capital was attracted, however growth was still subpar. From 2004 onward economic growth picked up significantly; both employment and capital formation increased. 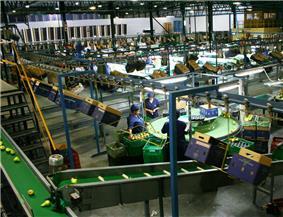 South Africa has a mixed economy, the second largest in Africa after Nigeria. It also has a relatively high GDP per capita compared to other countries in Sub-Saharan Africa ($11,750 at PPP as of 2012). Despite this, South Africa is still burdened by a relatively high rate of poverty and unemployment, and is also ranked in the top 10 countries in the world for income inequality, measured by the Gini coefficient. Unlike most of the world's poor countries, South Africa does not have a thriving informal economy; according to OECD estimates, only 15% of South African jobs are in the informal sector, compared with around half in Brazil and India and nearly three-quarters in Indonesia. The OECD attributes this difference to South Africa's widespread welfare system. World Bank research shows that South Africa has one of the widest gaps between per capita GNP versus its Human Development Index ranking, with only Botswana showing a larger gap. 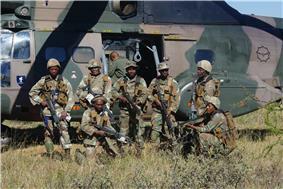 South Africa is the only African country to have successfully developed nuclear weapons. It became the first country (followed by Ukraine) with nuclear capability to voluntarily renounce and dismantle its programme and in the process signed the Nuclear Non-Proliferation Treaty in 1991. South Africa undertook a nuclear weapons programme in the 1970s According to former state president FW de Klerk, the decision to build a "nuclear deterrent" was taken "as early as 1974 against a backdrop of a Soviet expansionist threat." South Africa may have conducted a nuclear test over the Atlantic in 1979, though De Klerk asserted that South Africa had "never conducted a clandestine nuclear test." Six nuclear devices were completed between 1980 and 1990, but all were dismantled before South Africa signed the Nuclear Non-Proliferation Treaty in 1991. As the Union of South Africa, the country was a founding member of the United Nations. 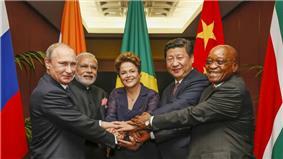 The then Prime Minister International Monetary Fund, G20 and G8+5. or a decline in political tolerance.